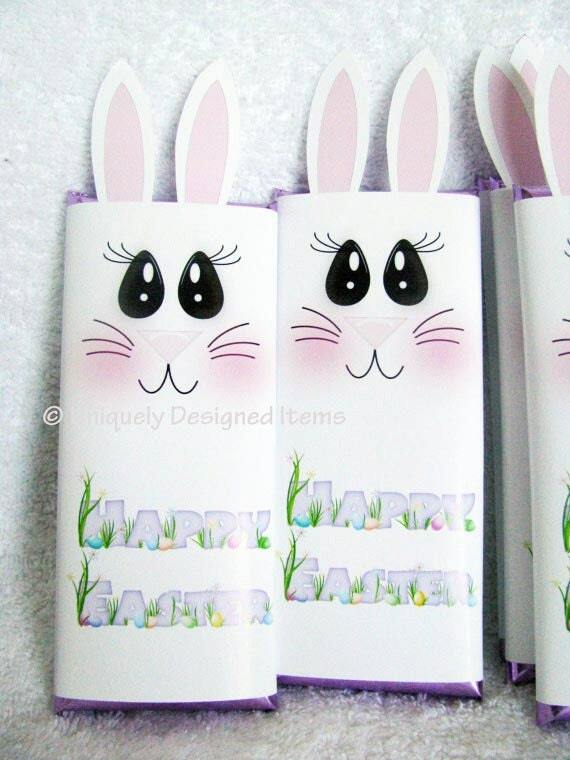 Extend the sweetest Easter greetings with personalized candy wrappers to tickle the fancy. A classic 1.55 oz Hershey bar wrapped up like the cutest little bunny you've ever seen! 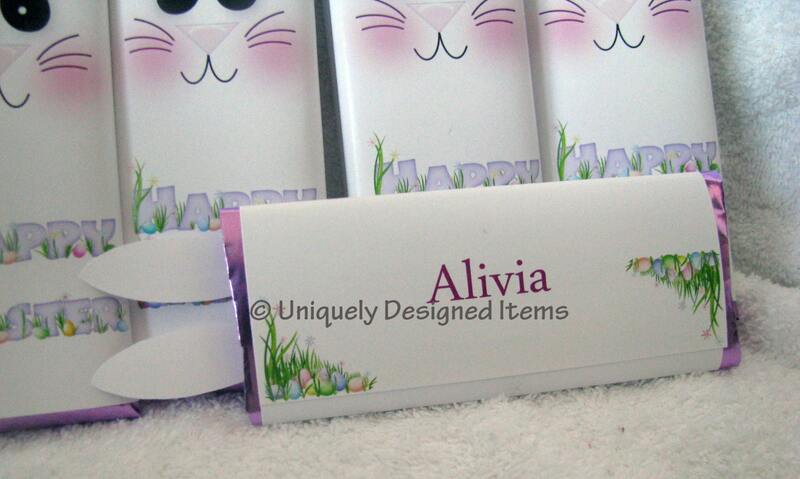 Your name added to the back puts the perfect finishing touch to your Easter candy gift. 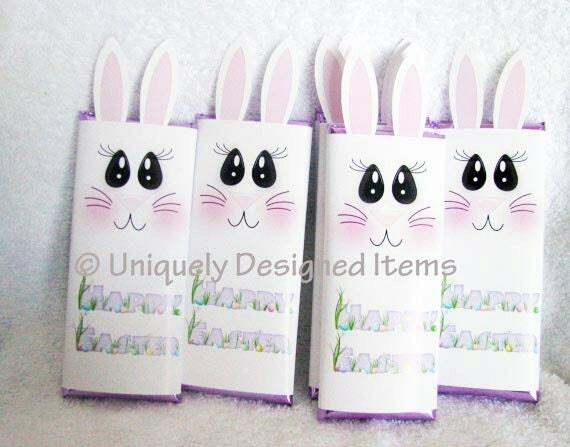 An ideal treat for your child's Easter basket or a kind gesture to all your family and friends, these chocolate bars are sure to be a hit. 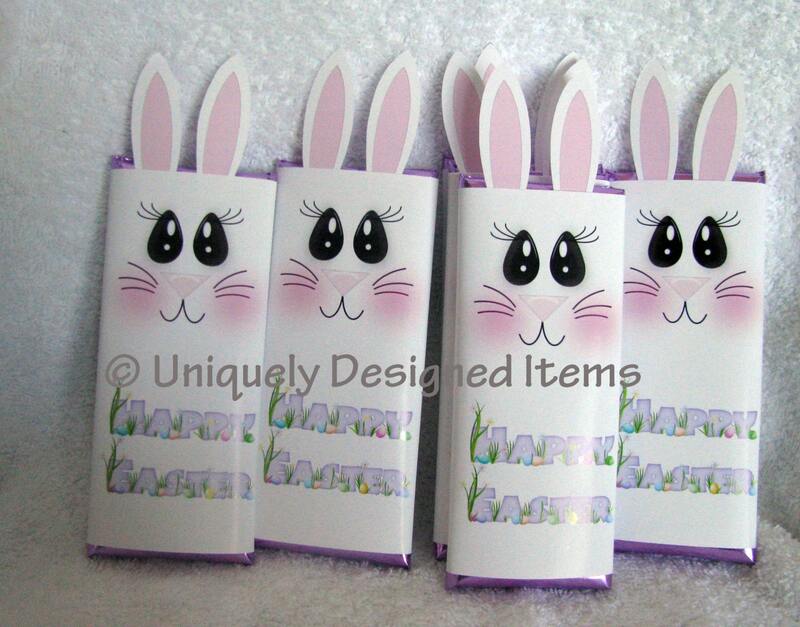 These Hershey bars are a cute addition to any Easter basket or Easter Egg hunt! Please let me know the name and if you'd like a certain color foil (I have pink, lavender, blue, and silver). If you need to order more than I have listed, please just message me! I do large orders, but for the sack of keeping the shipping down for those customers only ordering a few, I have kept the listing small. I do larger orders as well!